Synergy wanted to update their website to more accurately represent their business and to act as a foundation for their other marketing efforts. 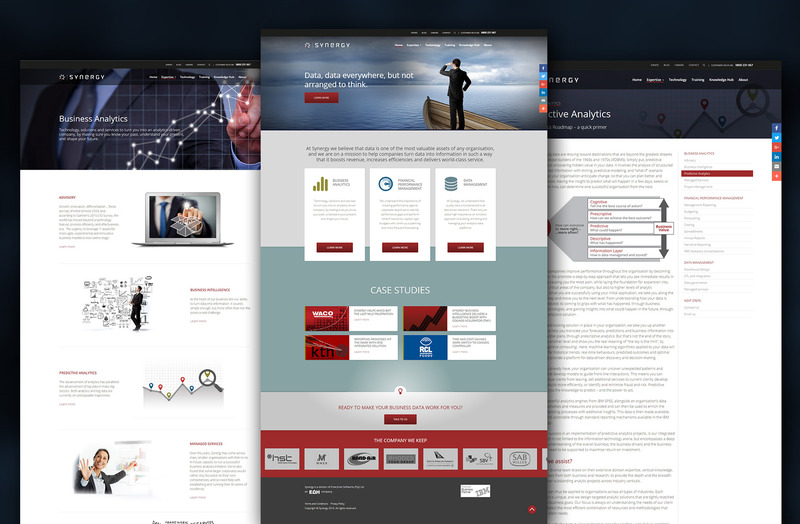 We worked with Synergy to build an engaging website that can grow over time. The site is responsive and built on Wordpress to give Synergy full control over their content. Synergy now has a site that is simple to manage and simple to use.